This week the parliamentary science and technology select committee looked into the evidence behind the MHRA’s decision to allow homeopathy sugar pill labels to make medical claims without evidence of efficacy, and the funding of homeopathy on the NHS. There were some comedy highlights, as you might expect from any serious enquiry into an industry where sugar pills have healing powers conferred upon them by being shaken with one drop of the ingredient which has been diluted, so extremely, that it equates to one molecule of the substance in a sphere of water whose diameter is roughly the distance from the earth to the sun. The man from Boots said he had no evidence that homeopathy pills worked, but he sold them because people wanted to buy them. The man from the pill manufacturers association said negative trials about homeopathy were often small, with an average of 65 people in them, and “all statisticians” agree that you need 500 people for a proper trial. Not only is this untrue (it depends on the effect size, if you claimed your pill cured an incurable condition in every single case, then a dozen patients would be too many): he then joyfully careered on to cite, in his favour, a positive homeopathy trial with just 25 patients in it. But the best moment was Dr Peter Fisher from the Royal London Homeopathic Hospital (funded by the NHS) explaining that homeopathic sugar pills do actually have physical side effects: so they must be powerful. Can a sugar pill have a side effect? Interestingly, a paper published in the journal Pain next month looks at just this issue. They found every single placebo-controlled trial ever conducted on a migraine drug, and looked at the side effects reported by the people in the control group, who received a dummy “placebo” sugar pill instead of the real drug. Not only were these side effects common, they were also similar to the side effects of whatever drug the patients thought they might be getting: patients getting placebo instead of anticonvulsants, for example, reported memory difficulties, sleepiness, and loss of appetite, while patients getting placebo instead of painkillers got digestive problems, which themselves are commonly caused by painkillers. This is nothing new. A study in 2006 sat 75 people in front of a rotating drum to make them feel nauseous, and gave them a placebo sugar pill. 25 were told it was a drug that would make the nausea worse: their nausea was worse, and they also exhibited more gastric tachyarrhythmia, the abnormal stomach activity that frequently accompanies nausea. A paper in 2004 took 600 patients from 3 different specialist drug allergy clinics and gave them either the drug that was causing their adverse reactions, or a dummy pill with no ingredients: 27% of the patients experienced side effects such as itching, malaise and headache from the placebo dummy pill. And a classic paper from 1987 looked at the impact of listing side effects on the form which patients sign to give consent to treatment. This was a large placebo-controlled trial comparing aspirin against placebo, conducted in three different centres. In two of them, the consent form contained a statement outling various gastrointestinal side effects, and in these centres there was a sixfold increase in the number of people reporting such symptoms and dropping out of the trial, compared with the one centre that did not list such side effects in the form. This is the amazing world of the nocebo effect, where negative expectations can induce unpleasant symptoms, in the absence of a physical cause. And in any case, it doesn’t help homeopaths: in 2003 Professor Edzard Ernst conducted a systematic review, finding every single homeopathy trial that reported side effects. This systematic search found, in total, 50 episodes of side effects in patients treated with placebo and 63 to patients treated with homoeopathically diluted remedies, with no statistically significant difference in the rates of side effects between the two groups. The world of the homeopath is reductionist, one-dimensional, and built on the power of the pill: it cannot accommodate the fascinating reality of connections between mind and body which have been elucidated by science. The next time you find yourself trapped at dinner next to some bore who’s decided in middle age that they have secret mystical healing powers, while they earnestly explain how their crass efforts at selling sugar pills represent a meaningful political stand against the crimes of big pharma, just think: some lucky person, somewhere in the world, is sat next to a nocebo researcher. The common interpretation of placebo is that it is something which is taken in a trial where someone thinks they are getting something which will have an effect although it is known it will not, to compare it with something which is expected to have an effect. My point was that a homeopathic remedy is not nothing, and is taken by someone on that basis. As a taxpayer, I should have the option to treatment from the NHS of my choice, especially if that choice is cheaper than the alternative. Maybe the Homeopathic remedy producers should charge the same as the pharmaceutical companies for their output. Then they could afford to do trials and produce statistics which support them as the pharma companies do. There are examples in this thread of drugs which are proved to not work, but are very expensive to the NHS. Why does that happen. Post 19 points out the costs for rosuvastatin – higher than the total spent by the NHS on homeopathic remedies according to evidence put to the parliamentary committee last week. Is it really a problem to spend less than 0.00625% of the NHS drugs bill on something that recipients of that spend feel benefits them? I’m not quite following your posts, you seem to criticize commenters for saying off-the-shelf homeopathy will have a placebo effect. It has been shown that homeopathy’s -only- benefit is throught the placebo effect. In the case of homeopathy from a pharmacist’s shelf, the person buying the remedy expects it to work, so they pay the money, then go through the daily ritual of taking the pill. Because they think it will work, it can have a positive effect via the placebo effect. You don’t have to be in a trial to witness a placebo, there doesn’t have to be a control. It is perfectly accurate to use the term placebo in this case, it is also perfectly accurate to use the term sugar pill, since the placebo is the mechanism and the sugar pill is the vehicle. I’m sorry to challenge you, but I’m afraid you’re wrong on your second point in #51. As a taxpayer, you shouldn’t have access to your treatment of choice through the NHS. You should have access to proven treatments as tested by experts and regulated by the government. Fine, you want homeopathy on the NHS and you don’t think its unreasonable, but what about the person who wants to be treated by a witchdoctor, should the NHS employ a “Redbridge PCT Witchdoctor”? What about palm reading, or tarot reading as preventative measures? What about prayer healing, should the NHS employ a hundred strong force available 24 hours a day to pray for people who want to be treated through the power of prayer? I understand if you have a firm belief in homeopathy, then these examples will sound absurd, but I’m afraid there’s no better proof for homeopathy than there is for any of these methods. When you are ill, you go to the GP (the trained physician) so that he or she can prescribe the best treatment, whatever that may be. Where NHS funding of the placebo effect is one of the (many) points raised. This is the same link as given in Ben’s post of the 25th Nov.
Prescribing a placebo is fundamentally dishonest, patients should not be given (and made to pay for via prescription costs) something that is -known not to work-. This is a potential can of worms, so much can go wrong with starting to prescribe medicines that aren’t medicines (see homeopathic malarial prophylaxis). I’d rather spend that 5/80,000 of the NHS’ drugs bill on more actual drugs that actually work. But even if that weren’t an option, I would rather spend that much on sending antiretrovirals and vitamin supplements to the third world, rather than spending it on homeopathy for UK citizens. Then at least someone is getting some real help (beyond placebo) from that money. @Jbags – here’s some alternative (or is that complimentary?) views on homoeopathy on the NHS and how to manage it! A final post from me, as there seems little point in discussing things rationally with people who have already made their minds up about something which brings a great benefit to many people just because it doesn’t have “scientific” proof. Life isn’t all about science, humans aren’t ruled by science. What people feel is far more important than what a scientist can measure. I guess all those seeking scientific proof don’t believe in love, and only see it as a placebo. But in terms of cost, 0.00625% of the NHS drugs spent on something that does have a real effect on how people feel as opposed to on another drug which would then require further drugs to counter the side effects seems pretty reasonable. In a democracy we, the public, should have a say. Those who have financial interests currently rule, and that is wrong. So what if 0.00625% is spent on something doctors don’t understand. I don’t understand why the NHS spend that much on lots of things which produce no noticeable benefit to those the NHS exists to serve, not even as a placebo. And, for the record, I am not a great believer in homeopathy. But I do know that it can work for some people for some ailments. Who cares if scientists can’t prove it, people feel different. Love rules! Thanks mikewhit thats a wonderful explanation. How incredible that these sugar pill lottery tickets cure cancer. Isn’t science fascinating! Those are absolute genius, I’d never seen that site before and its cracking. The one about the witch doctor made me laugh a great deal, I got very odd looks from people in the office! In response to your final post, I would just like to clear up one thing. I’m not ‘fundamentalist’ in my scientific beliefs, I don’t want to force everyone to share my beliefs. I honestly don’t mind if people would rather see a homeopath than their GP, or get a tarot reading or see a witchdoctor (I worked in Uganda for a while, and they are still very popular there, even where proven conventional medicine is available). I’m fine with people going to see a homeopath, and finding themselves lighter of wallet, and feeling happier; its not my bag, but I defend the rights of people to see homeopaths if that is what they so desire. When this gets into a less happy situation for me, is public funding. Why do you insist the taxpayer funds homeopathy? Why can’t we just leave it as a private practice? The problem here is that the government has to be responsible about how it spends its money. The health service has a limited budget, and it has to justify every penny it spends. You cannot medically justify spending public money on alternative medicine, that being: things that have not been proven to work, or things that have been proven not to work . Here, homeopathy falls into both categories (with the caveat “beyond the placebo effect). Ok, homeopathy is not the particular torch that you carry, but surely you can see that you need to have an evidence base on something you wish to spend public money on? some reason to actually spend the money? I don’t think I am alone in thinking that the benefit from a treatment whose only effect is that of a placebo, does not give a good enough reason for the health service to spend money on it. No indeed, humans are not ruled by science, but I do hope (perhaps in vain) it does crop up in the functioning of the government. We, and the world around us, is described by science, and that’s the point. Via the scientific method we find out about the world, and find a way to describe its wonder and its awe. I am sad that you feel one cannot be a scientist and be in awe of love, and all the wonder of human experience. I have had endless debates with my dad about this (he lives in Australia selling coloured phials of water which are meant to enhance our ‘energies’), and I just cannot seem to get the point across that scientific outlook on the world enhances my experience through greater understanding. I see beauty in a succinct mathematical proof in the same way I see beauty in that brilliant new nature doc ‘Life’ (narrated by the most awesome Sir David Attenborough). The fact I believe the biological mechanism for the experience of emotion in the brain can be fully observed and described by medical science does nothing to belittle my wonder of the highs of love, or the life-affirming blackness of tragedy (not oximoronic I believe). My dad and many others like him prefer to believe that turning our backs on observation (and the scientific method), we become enlightened and start contemplating proper ideas (none of which can ever be tested, proven, or otherwise engaged with). I find this tragically naive, because in essence my dad, and all the others like him, have effectively confined their experience and beliefs to human imagination. What I can’t seem to communicate is that there are things in the universe that so utterly blow the mind, they are beyond any man made idea, theology or ‘alternative philosophy’. See Dr Phil Plait’s Bad Astronomy blog for example, and check out the stunning images of our solar system, our galaxy and even further afield. There is so much more out there than human imagination and the ‘rule of emotion’. This is pure intropsection, when if we just looked outside of what people imagine, and into the wonders of the physical universe; whether its subatomic breakthroughs at CERN, the 2.5 billion pixel image of our galaxy from the spitzer telescope, or the discovery and documentation of HIV resistant genetic mutations in humans, I am constantly in awe of the world around me, and have science and scientists to thank for it. I feel so indebted to the generations of academics and scientists, whose millions of man-hours of work allow me to experience the world like no previous generation has, that yes I do resent it when people like my dad would rather talk about a plastic phial of coloured water with “infinium” written across it in silver ink. To drag this back to topic, this then applies to all complementary medicines, none of which work beyond the placebo effect. People are drawn in by quirks of human imagination (from horoscopes, to homeopathy, to reflexology, to kinesiology), and decide to wilfully ignore proven science… it saddens me. But like I said, I will defend the ability of these people to undergo this treatment if they wish (although not at the expense of conventional medical treatment), I do not want to rid the world of homeopaths or people who believe in it. I just want to keep the restricted public health budget spent on medicines which actually work beyond placebo. If you would like to see a homeopath that’s fine, I just resent footing (part of) the bill. Please don’t think you are being picked on , but you are right , most people posting on this site already have a firm and similair opinion about homeopathy , and when someone comes along who says something different , it makes things more interesting. After all you can’t really have a debate if everybody agrees. Why not try to discuss things rationally? Reason and logical thinking is what , I believe , set humans apart from the rest of the animals. I think you may misunderstand the placebo effect. Any treatment can have a placebo effect – it requires the person taking it to believe it to have an effect. For example – morphine , a well known and proven to be effective pain killer , will have an associated placebo effect , if the person taking it believes it to work. New substances , in order to become prescribable medications have to be shown (in trials and tests) to work OVER AND ABOVE the placebo effect. Now , there are problems with how some of these trials and tests are performed , or reported – see Ben’s latest post – but on the whole every drug has to go through fairly rigorous investigation before it comes available for doctors to prescribe. The trouble with homeopathy , is that , though it should be fairly easy to set up good quality trials , there is NO GOOD EVIDENCE that it works OVER AND ABOVE the placebo effect. So , homeopathy medication works about as much as one would expect a sugar pill to work. This makes sense – by diluting a substance a million million million times (if not more) and then adding this to a sugar pill ( the method by which these medications are prepared) then what have you got? A sugar pill. What about your argument that if it makes people feel better , why not? This argument has more merit. I think the trouble with this , over and above the seeming unfairness of rigorous rules for proper medication (which I don’t think anybody objects to) and the complete lack of rules for homeopathic remedies , boils down to a question of money. The NHS has limited funds. we could spend money on developing money which works (ie has a placebo effect and a proven additional effect). ie medication that would make MORE people feel MORE BENEFIT , than homeopathic medication. More bangs for the buck. Then there is the problem of homeopathy being used for more serious condtions , in the place of traditional medication (the most notorious is against malaria – where I’m afraid placebo effect will not stop you dying). Then there is the problem of the NHS officialy sanctioning a product with no proof it works more than the placebo effect , endorsed by poor reasoning and faulty logic. Your last paragraph – ‘Who cares if scientists can’t prove it, people feel different’ – they can prove it ,people DO feel different but NO MORE than the placebo effect , and that is the point. 1. 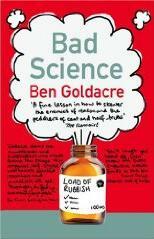 As the chapter in Ben’s book amply illustrates, you do not have to believe in anything for the placebo effect to work. 2. It is the attitude “Who cares if scientists can’t prove it, people feel different” that sometimes leaves people to die in agony from easily medically preventable causes, supposedly “happily”. I call that homicide. Sorry. Realize (Yep, ‘Merican) this is not a substantive contribution to the discussion … but I am afraid that you have awoken one of my pet peeves. Nauseous: causing or able to cause nausea. I recognize (there’s that annoying zed again) that there is a growing use of “nauseous” for “nauseated,” further, it seems probable that this usage will become primary. At times this brightens my day – think of taking the medical history of a 350 pound woman with bright red inch-long fake fingernails and purple dyed hair telling one that she is nauseous – but more often one is left reflecting upon the loss of yet another word to ignorance. Have you seen this Ben? One good thing stuff like homeopathy can bring us. Think about all the money that goes into treating patients with no real disease (I see this all the time in neurological ward here in norway). There’s a LOT of money being spent on these people. Some aware that they’re faking symptoms and others not aware (yes it gets complicated). Sorry if I’m being slow, but has everyone spotted the result of the committee’s enquiry? 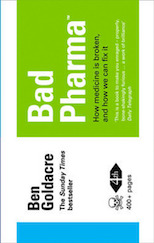 OK…i have read the book and have a reasonable grasp of the placebo effect. I have always thought it was a complete con but I have one area that I cannot find an argument against in discussion with supporters of homeopathy. In the early nineties I worked for a farming company dealing with dairy farmers. One farmer swore by homeopathic remedies for treating mastitis (he was an early organic convert) how exactly does the placebo effect work in dairy cattle? would be extremely grateful for a concise (if possible ) explanation. I’ve written a short blog post interpreting homeopathy through the quote “Science advances most when its predictions prove wrong” (Don E Wilhelms from To A Rocky Moon: A Geologist’s History of Lunar Exploration). It is stereotyping to call someone who uses homeopathy as some middle aged person who thinks they have mystical powers. The very reason I have started using homeopathy I’d because of all the awful dangerous side effects of sonmany western medicines. My homeopath is a trained qualified doctor who knows both sides and I trust him with my life. I would be interested to know why if these remedies are nocebo then why do some remedies react badly with warfarin and also why remedies work so well with children and animals.. Surely you would not expect any effect whatsoever either way? I would also like to add that a good friend of mine who is a scientist told me that there is nothing in it for drugs companies to find anything positive from homeopathy. I guess by that she means no money in it. I have CFS/M.E. and find myself reacting to just about any medication I have ever tried to take, including nutritional supplements and once I recall trying some homeopathic tablets which I reacted to badly. I no longer believe in homeopathy thanks to informed sites such as this but I still react to all the medications I try. If I am experiencing or have experienced a nocebo effect does anyone have any advice on how I ocould approach this matter? I have read “Bad Science” most of this is covered by what is referred in it as “selection bias” or “Cherry Picking” . Big Pharma and doctors obviously believe in the placebo effect, otherwise known as “the double blind test” or maybe it’s just the blind leading the blind. This seems more the side effects of insurance based medicine, So called Evidence Based Medicine is in a shambles for the same reasons , the misuse of statistical evidence.